ZeroTwentythree: In the Marsh - St. Patrick's Day? Does it count as a St. Patrick's day thing to work on miniatures inspired by Irish myth? 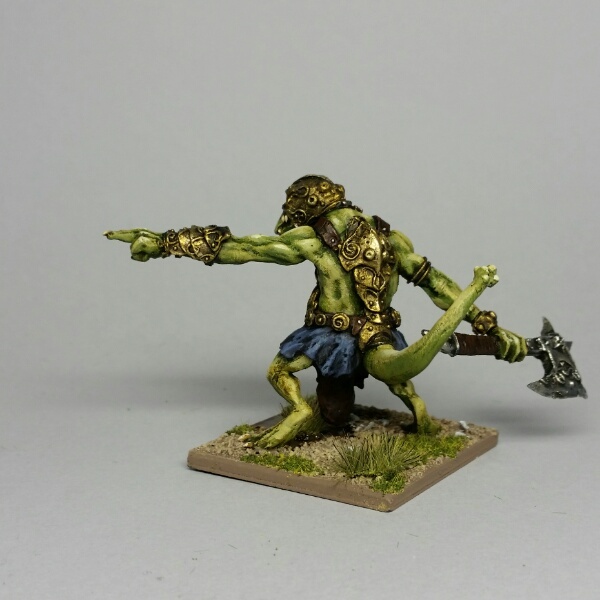 I finished the the Troll Outpost swamp mercenary/Fomorian/Fimir. I've finished the sculpting work on the Reaper orc conversion. I happened to have one of my (very) few resin cast tails available, so I used that. The foot looks big in the photo, but I swear, it's not that far out of proportion IRL! 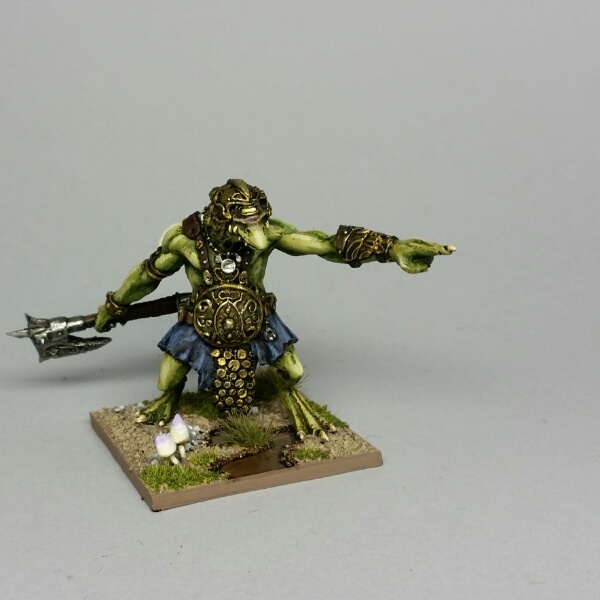 Also prepped the four classic Citadel Fimir Fianna/Nobles. The guy on the left was originally mine back in the day, but had been converted to a champion of Slaanesh in the 3rd ed. RoC days, and had wings and a bright paintjob. At some point I gave it to a friend who was collecting Fimir because I figured that was a better use for it, and eventually it (along with the rest of his small but almost complete Fimir collection) made it's way back to me last year. So that's what I will probably be working on next for the Month of Marsh!